September 2014: Fall Semester Starts September 15! Welcome back and Happy Fall! We think everyone is going to LOVE the BONGOS Collection!We will be learning new songs from around the world, including drumming to a traditional African folksong, tapping our sticks to an Irish folk tune, singing a new song in Spanish, and chanting about some funny animals that live in Australia. The 10 week session starts September 15 and runs through the week of November 17. Register today online! News! Starting this fall, enrolled families will receive a songbook, ONE CD, a Family Resource Guide and a code to access Music Together’s brand new Family Music Zone! There you’ll be able to easily download the songs from the Bongos song collection, in addition to exploring fun content created just for you. To access the Family Music Zone you will create an account at www.musictogether.com/account using the code found on the inside back cover of the Family Resource Guide. Families will also continue to receive a quarterly e-newsletter with lots of great information regarding music and child development, as well as fun ways to play with music at home. Make sure to check out the most recent e-newsletter! September 7: Visit us at Grosse Pointe’s Village Fest on Kercheval Avenue between Cadieux and Neff between 12 and 5 pm with free demos at 2:00 pm and 4:00 pm. Find us in the Kid’s Zone near St. Clair and Kercheval. September 9: Free Demo Class in Grosse Pointe at 9:30 am at the Grosse Pointe Music Academy. Please invite friends that are new to Music Together to experience the fun of learning Music Together-style! Please call us at 734.418-0640 to register! September 13: Free Demo Class in Canton at 10 am at the Grosse Pointe Music Academy in Canton location. Please call us at 734.418-0640 to register! Your Hummingbird Music Together teachers were busy birds this summer! We hosted three Sing and Sign events in Grosse Pointe jamming with amazing groups between 75 -100 people each month. We continued our amazing run of demos with the Canton Public Library and reached a new record with 138 people movin’ and groovin’ together all at once! Leah has enjoyed music for her entire life, starting piano lessons when she was four and earning her B.A. in Music from Huntington College and her M.M. in Piano Performance from the University of Nebraska-Lincoln. Along the way, she has enjoyed singing in choirs, playing in bands, and performing in musicals. Music is such an important part of her life that when she had her son, Elias, in November 2012, she started looking for a music activity and found Music Together. Since they began classes, she loves how much music has become a part of their everyday routine. After attending the Music Together teacher training and seeing how carefully the music is chosen and the program is planned, she is even more excited to teach this fall! With the addition of Miss Leah, we are now able to expand our Canton class schedule so check out the new class date and time options available starting this fall. Fall is always a great time of the year to reset a schedule for learning and fun. We hope we will be seeing your families back in class and look forward to exploring new music together as your little ones continue to grow! Thanks you! Music Together June 2014: Gallop, March, & Shake This Summer! Summer is not only our favorite time of year because of the beautiful sunshine and warmth, but also because we get to enjoy a compilation of many of our favorite Music Together songs from the different collections. We will be enjoying the “Summer Songs 3” collection including favorites “Shake Those Simmons Down,” “Singn’ Every Day,” and many more! Have you ever wondered about the theory behind Music Together’s song collections? There are nine collections, not including the Summer Collections, and the music themes are organized to be in sync with the feelings of the different seasons. The summer collections, which are a compilation of favorites from across the nine collections, provide some repetition as that is beneficial in children’s music development. If you go through all 9 collections, your children will learn over 300 songs – what an impressive number! Wednesday, June 11: In Grosse Pointe, Miss Emily will host a demo at the Grosse Pointe Music Academy at 9:30 am to preview the summer collection. Please let any friends looking for fun and educational activities know about it. Thank you! Thursday, June 19: In Canton, there will be a make-up class for the Canton Thursday evening class at 6:45 pm. This is to make-up for the class cancellation early on in the Spring session. Monday, June 16th & Monday, June 23rd – In Grosse Pointe, the 9:30 and 10:30 classes will continue to meet these two Mondays to make-up for Memorial Day and a class cancellation in May. June 24 & 25 – Hummingbirds Music Together is beyond excited to have been asked to participate in Royal Oak Farmer’s Market Kids Club Live! We are joining together with many of our fellow metro-Detroit Music Together programs to provide free musical entertainment and to share information regarding musical development and our programs. Please stop by to say hello and join in to help spread the magic of Music Together. June 27 – In Grosse Pointe, we are excited to be kicking off the Summer Sing & Sign events with the first event. Join us at 10 am for the interactive free session and then stay for a fun kids craft hosted by the Grosse Pointe Momprenuers. Week of July 14: Summer Semester starts and goes for 6 weeks thru the week of August 18th. Click here to register for the summer session if you haven’t reserved your spot yet! Wednesday, August 6: In Canton, we couldn’t be more thrilled that the Canton Public Library keeps inviting us back to host a fun-filled hour of music and movement. We will be taking sing-song trip to the Zoo and hope you can join us. We then plan to picnic afterwards at Heritage Park so all of our attending Hummingbirds Music Together families can keep the fun going! Congratulations to all of our Hummingbirds Music Together families that have completed all nine Music Together collections! It is a pure joy seeing you all encourage your children in both expressing themselves and in their music development! We will be recognizing the families in class and also giving them a special gift towards their continued music education. In addition to our amazing families, congratulations also are in order for Miss Hazima who has now taught all 9 collections! We are so thankful that Miss Hazima is a part of Hummingbirds Music Together and helps spread her love of music and learning with us in every class! As we started out, the start of summer is one of the BEST times of year! We hope your family and friends enjoy the longer and much warmer days! Please do plan to join us for music class and our many different events throughout the summer to help keep your family’s musical journey going strong! It was so fun to see everyone again for the start of the new semester and to welcome new friends to the Hummingbirds Music Together community! We hope everyone is enjoying getting to know the Sticks collection! 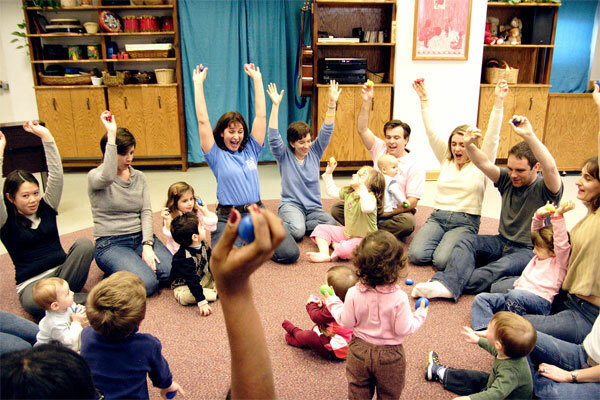 There are so many young babies in all of our classes this semester which adds a lot of fun for all of the children and parents as we watch how our young friends progress every week – moving from watching, to moving with music, and then starting to sing along. Research shows that babies begin to hear and respond to sound in the womb at about 19 weeks gestation, so when babies are born they are ready to connect and grow through music. This early music engagement helps your children’s development and is another great way to reinforce the bond with your child. If you have not received the Babies in Mixed-age Classes Family Guide, make sure to ask your teacher for a copy to learn more about supporting and guiding young babies in their musical journey. TBD: Due to the Polar Vortex after New Year’s we had to postpone our January 8 event at the Canton Public Library. We will host a fun filled morning of singing, shaking, and waving scarves in Music Together fashion and hope you can join us to fill the library with the joy of music! Wednesday, February 12, 9:30 – 11:30 am: Grosse Pointe’s St. Clare Cooperative Nursery School is hosting an open house for the 2014-2015 school year. The 3 and 4 year old preschool program offers the full Music Together curriculum and Hummingbirds Music Together will lead a demo class for interested families from 10-10:45 am. St. Clare Co-Op Nursery School is located at 16231 Charlevoix in Grosse Pointe Park. See www.stclarenurseryschool.com or call 313-647-5160 for more information. Monday, February 17th – President’s Day: Classes will not run on Monday the 17th, President’s Day. However, classes will run for the remainder of the week. Monday classes will have a make-up class on March 24th. Saturday, March 1st, 4:00 – 5:15 p.m: Hummingbirds Music Together will host our annual “Teddy Bear Picnic” and Parent Education Event for all enrolled families. 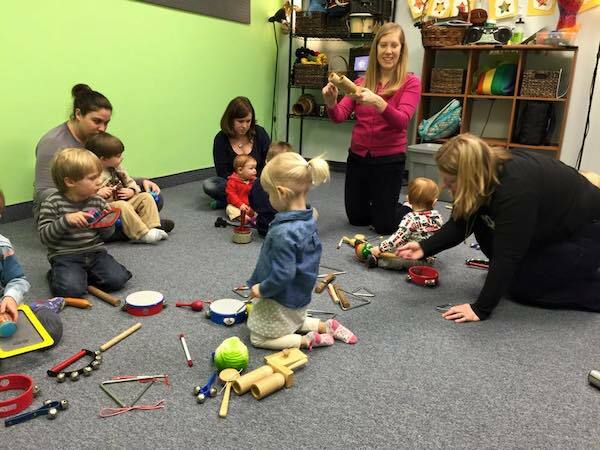 These events will occur BOTH in Canton and Grosse Pointe at our music class locations! A small craft and snack will be provided as well as lots of musical fun – bring your special teddy bear or stuffed friend! An RSVP link will be provided as space will be limited. As you may know, Hummingbirds Music Together is part of a supportive business organization called the Grosse Pointe Momprenuers. Founded by four mom-entreprenuers, our mission is to support each other in our businesses, in our community and of course in motherhood. Pointe Magazine featured our organization in the January-February issue now out. To check it out, please click here. As you think of ideas for valentines this year, consider how you can add music. A simple way is to change the words of favorite tunes to make up your own songs about love. Also, if you send valentines to family and friends, consider finding a way to record your child – maybe through a video and/or audio message or a recordable card – singing a song about love to share. Not only will your child have fun writing their own song and recording it, but the recipients will surely feel the love when they hear a little voice singing just for them! A simple way to help your family be more musical is to end every night with a lullaby. Remember that to your child your voice is perfect, so sing a favorite lullaby or make up your own to help give your little one a sweet send off for the night. Happy February to all of our beloved friends!